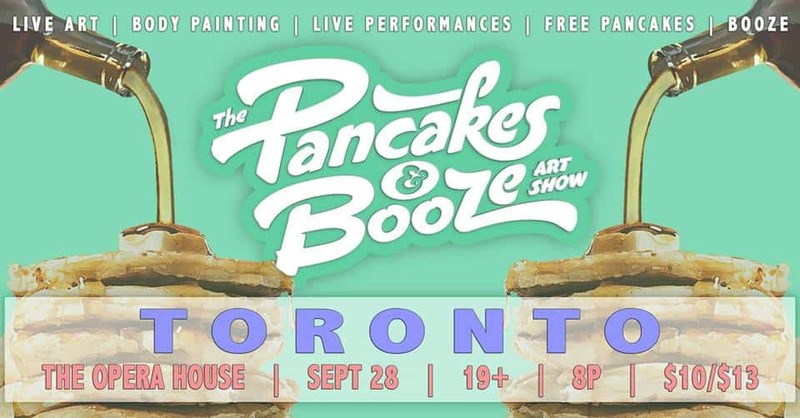 Immerse yourself in art and live performances while indulging in all the pancakes you can eat at the Pancakes & Booze Art Show, happening at the Opera House (735 Queen St. E.) this Friday, September 28. Founded in 2009, the pop-up art event travels to more than thirty-five cities around the world each year—including Los Angeles, Vancouver, London, Berlin and Paris—to showcase the work of local, emerging artists, DJs and performers. The latest Toronto instalment will feature more than four hundred pieces of artwork (paintings, mixed media, photography, sculptures, drawings and graffiti) created by over eighty artists, live musical performances, live body painting, craft beer, signature cocktails and FREE pancakes. 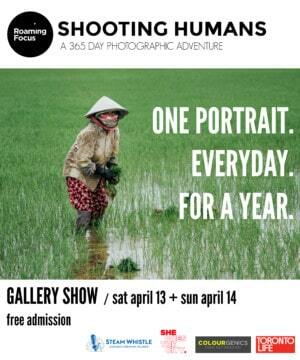 The event runs from 8 p.m. to 2 a.m. and is $10 (cash only) at the door. Those wanting to skip the line can purchase $13 line jumper tickets online in advance.